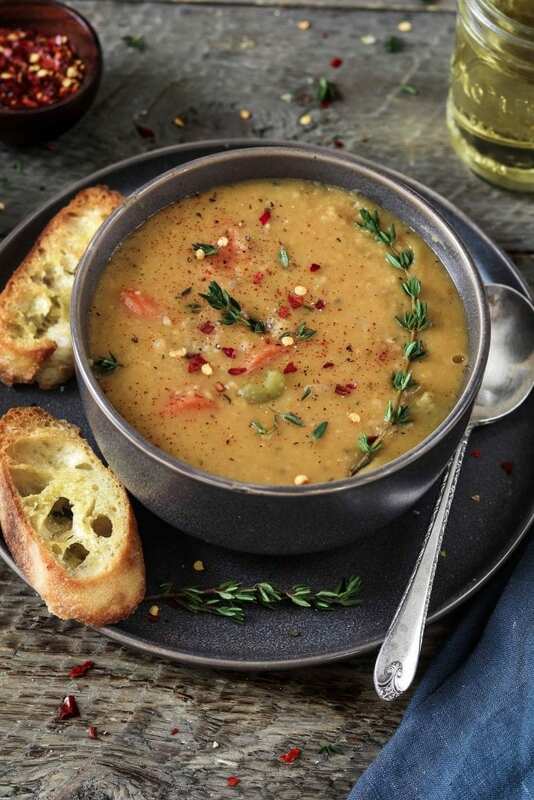 Hearty and comforting, this classic Yellow Split Pea Soup will be your new favorite. Just add the wholesome ingredients to your Instant Pot, and relax for 25 minutes while the magic happens. Guys! I finally joined the Instant Pot club and I absolutely love it! This Yellow Split Pea Soup was the very first meal I cooked in it. I have to say, I’m quite impressed with this kitchen appliance. I avoided buying it for so long because I thought it would become a dust collector. Plus, I don’t have a lot of counter space for things I won’t use often. I’m so glad I went for it though. I’ve been using it almost every night to make quick, flavorful and nutritious meals for my family. I’m going to try my favorite Potato Leek Soup in it next. When I first opened the box, I was a little overwhelmed with all the buttons, but I felt better after reading the manual. Also, I had lots of support from the Instant Pot Facebook Community Group that has over 1 million members. Everyone is so helpful! 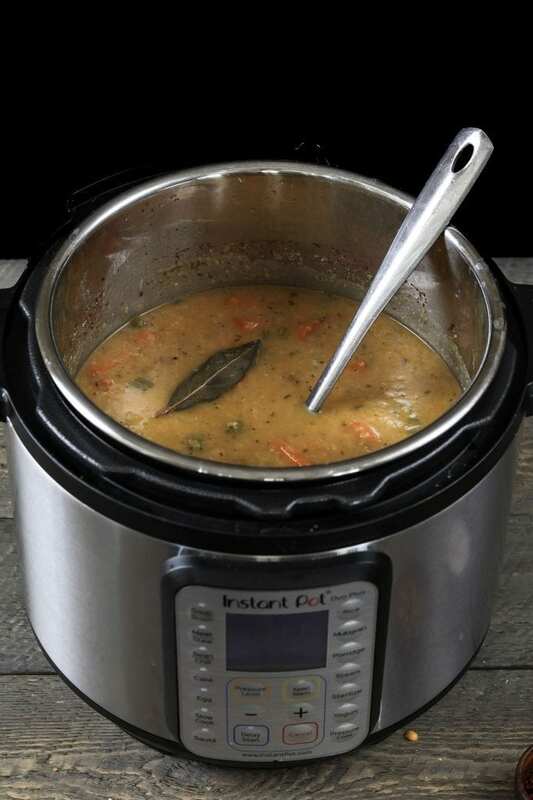 There are a bunch of models to choose from, but after doing my research, I decided to go with the Instant Pot Duo Plus 6-Quart 9-in-1 Function. Yep, it really is a 9-in-1 appliance! It’s a Pressure Cooker, Slow Cooker, Rice Cooker, Yogurt Maker, Tofu Egg Cooker, Sterilizer, Steamer, Warmer, and it Sautés. All that in one little pot! Aaamazing! Now the name “Instant” Pot could be slightly misleading because it doesn’t really cook food in an instant. However, most meals are cooked in under 15 minutes and it’s completely hands-free. Also, the pot takes about 10-15 minutes to come to pressure so you’ll need to consider that time too. Bottom line, it’s worth it and so darn easy to use! To get started, you’ll need oil or vegan butter, onion, garlic, dried thyme, dried oregano, smoked paprika, crushed red pepper, bay leaves, celery, carrots, vegetable broth, yellow split peas, liquid smoke, salt, and pepper. * For an even heartier soup, add 2 medium red-skinned potatoes along with the carrots and celery. No need to peel them, just cut into 1 1/2 ” cubes. Dice the onions, slice the celery and chop the carrots into 1-inch chunks. Cutting the carrots into larger pieces will prevent them from turning into mush. 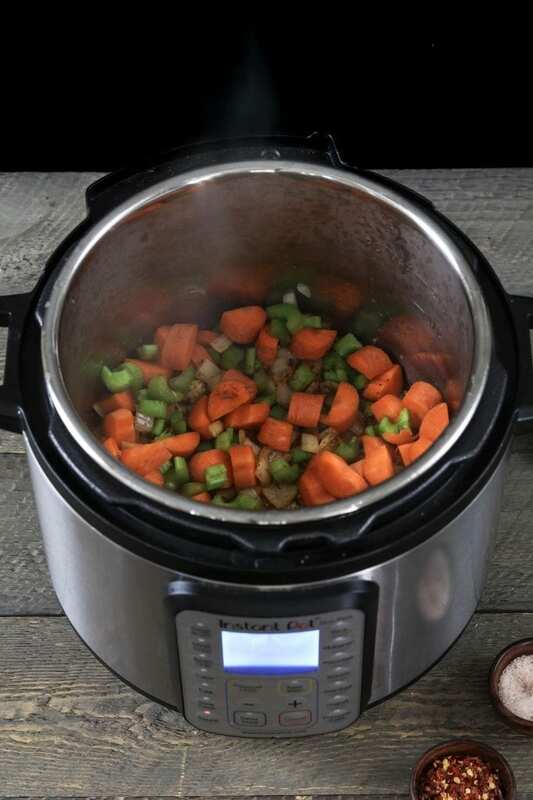 After prepping your veggies, turn on the sauté feature of your Instant Pot. When heated, add the oil and butter. Once melted, add the onions and sauté until slightly translucent, about 2-3 minutes. Now add the garlic, thyme, oregano, smoked paprika, and crushed red pepper. Now sauté for about a minute to release the aromatics. * Feel free to omit the crushed red pepper if you don’t want the added heat. I love the smokiness from the smoked paprika, but you can use regular paprika if desired. Now add the carrots and celery to the pot. Sauté for about 1-2 minutes. Your kitchen should be smelling heavenly right about now! Cancel the sauté function and add the broth, lentils, liquid smoke, bay leaves, salt, and pepper. Close and secure the lid. Turn the steam release handle to the Sealing position. Push the Pressure Cooker (Manual Setting) button to high pressure and set the time to 12 minutes by using the + or – button. The screen will then display ON while the preheating is in progress (this could take 10-12 minutes). 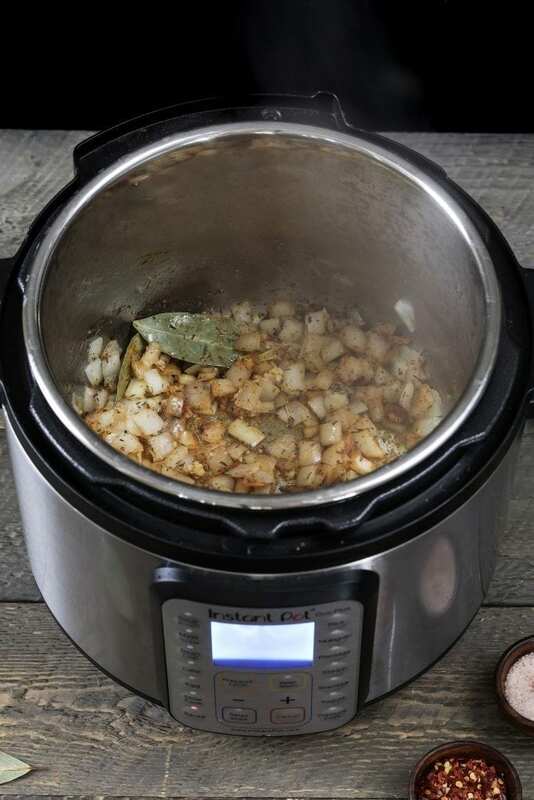 When the Instant Pot has come to pressure, you’ll see the 12 minutes displayed on the screen again. The cooker will beep when the time is up. Don’t touch anything, just let the pressure naturally release for another 12 minutes. Now carefully turn the steam release handle to the Venting position (It will loudly spurt out lots of steam and some water). Once the Float Valve goes down you can carefully open the lid. Remove the bay leaves and taste for seasoning. Add more if needed. Let the soup sit a minute before serving. This will give it time to thicken up. If it’s too thick for your taste, you can add a small amount of water or vegetable broth. 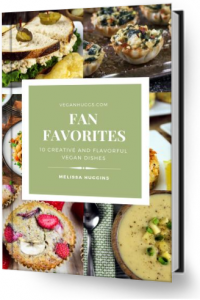 – Or this amazingly delicious Vegan Broccoli Cheese Soup Recipe by Stacey Homemaker. It’s one of my faves! 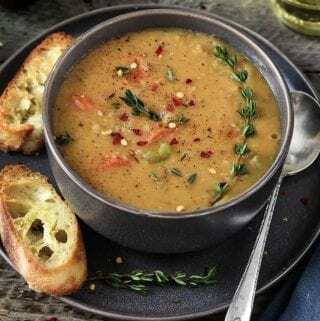 If you make this Yellow Split Pea Soup, I’d love to hear what you think in the comment section below. It would really make my day. You can also follow me on Instagram and share your creation with me. Just tag me @veganhuggs and hashtag #veganhuggs so I don’t miss it. Hearty and comforting, this classic Yellow Split Pea Soup will be your new favorite. 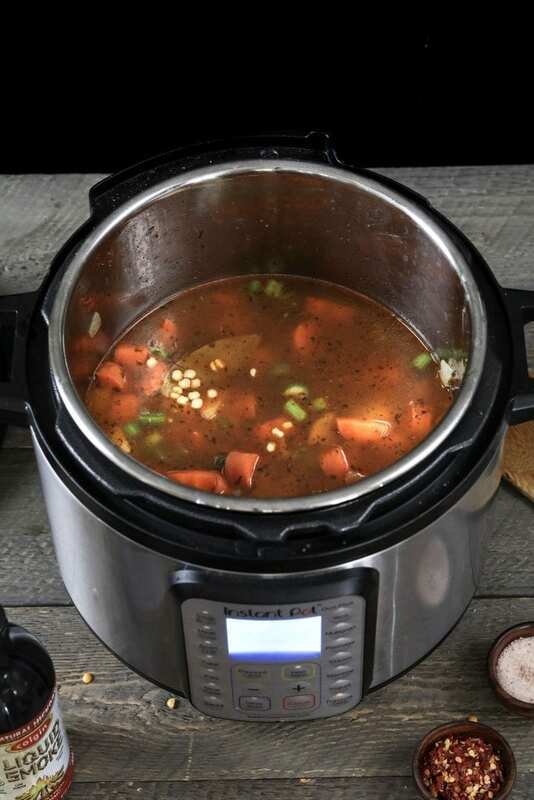 Add the wholesome ingredients to your Instant Pot, and relax for 25 minutes while the magic happens. 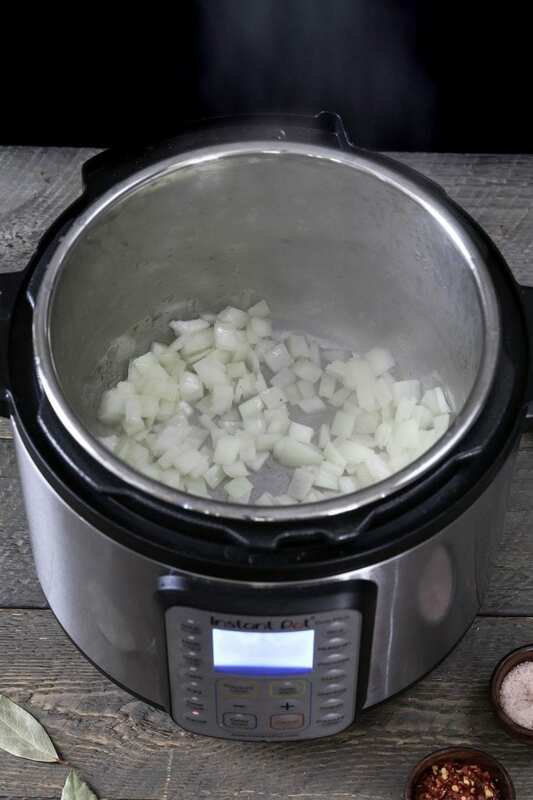 Turn on the sauté feature of your Instant Pot and add the oil or butter. When heated, add the onions and sauté until slightly translucent, about 2-3 minutes. Now add the garlic, thyme, oregano, smoked paprika and crushed red pepper. Sauté for about a minute. Add the carrots and celery. Sauté 1-2 minutes. Cancel the sauté function and add the broth, split peas, liquid smoke, bay leaves, salt, and pepper. Close and secure the lid. Turn the steam release handle to the Sealing position. Push the Pressure Cooker (Manual Setting) button to high pressure and set the time to 12 minutes by using the + or - button. The screen will then display ON while the preheating is in progress (this could take 10-12 minutes). When the Instant Pot has come to pressure, you'll see the 12 minutes displayed on the screen again. The cooker will beep when the time is up. Don't touch anything, just let the pressure naturally release for another 12 minutes. Now carefully turn the steam release handle to the Venting position (It will loudly spurt out lots of steam and some water). Once the Float Valve goes down you can carefully open the lid. Remove the bay leaves and taste for seasoning. Add more if needed. Let the soup sit a minute before serving. This will give it time to thicken up. If it's too thick for your taste, you can add a small amount of vegetable broth. *See notes stovetop instructions. In a large pot over medium heat, sauté the onions and celery in butter or oil until softened, about 5-6 minutes. Now add carrots, broth, split peas, liquid smoke salt, and pepper. Turn up the heat to bring to a boil, then reduce heat to a low simmer. Cook uncovered for 1 1/2 - 2 hours until peas are completely softened. Stir occasionally. Taste for seasoning and add more if needed. Let the soup sit a minute to thicken. Serve as is or blend for a super smooth texture. Hi. Great tasting recipe. But I was expecting the yellow split peas to be soft. And they are al dente to say tue least. I definitely used the time settings suggested including the 12 minute natural release. Could my split peas have malfunctioned? Hi Nathan, they should definitely be soft. This potentially could happen if the peas are old or poor quality. Did you just purchase them? I’m sorry this happened. I made this soup during a snowstorm and it was delicious! I used green split peas and sweet potato instead of red skinned potatoes. The texture was wonderful and it was smoky and hearty! Definitely a keeper. I can’t wait to go home tonight and have the rest! This sounds amazing! This will definitely be happening on this snowy weekend. I love how you detailed the IP instructions. When I first got mine, it was confusing and most recipes are not written as well as this one in that respect. I made this soup tonight just using salr,peppr, garlic powder and fresh onion for spices. Added mini purple, red, and yellow quartered potatoes, celery, and sliced carrots. Sauteed the onions in butter and oil then added veggies for 2-4 minutes. Added the dried yellow split peas and 2 cartons vegetable broth and pressure cooked for 12 min and then rested on warm letting the pressure drop for 12 min. The soup was excellent! So glad that I tried it. Can you substitute reed lentils for the split peas? Just made this soup & it is delicious! In your directions you say add lentils, I believe that is an error. I dod add yukon potatoes & it is yummy. Will be a staple in my kitchen. Thanks for a great recipe. Just delicious! Super filling. I added 3 Yukon gold potatoes and it came out great. I also threw some Daiya Smoked Gouda “cheese” on top after cooking…I put that stuff on everything! I have been looking for a yellow split pea stew or lentil stew recipe that doesn’t have curry or cumin in it and one that is also not soupy. This fit the bill! Thank you so much!I’m so happy you liked it 🙂 Have a great weekend! Lovely tasty soup and it was great to use my Instant Pot for something other than cooking rice, beans and making yogurt. Thanks for the recipe. Excellent! Now, one of our top favorites! Thank you for sharing your recipe!